Princeton University admission officers will tell you that how well a college fits you (and how well you fit it) matters more than the institution’s name. And the reality is this: each admissions cycle, about 26,000 students think that Princeton is a good match for them, and they for it. And Princeton has about 1,300 spots in the incoming freshman class. Like other schools in the Ivy League and those considered “top tier,” Princeton has many times the number of qualified students applying than seats. This is why Princeton is a “reach” school for every student, even those with an absolutely perfect high school transcript and test scores. The bottom line is, don’t take it personally if Princeton turns you down. 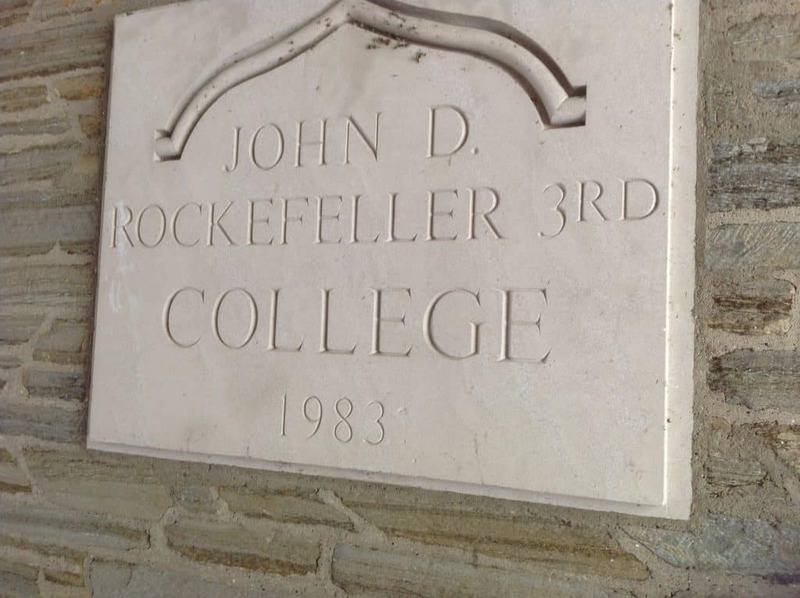 That said, Princeton is a “world class university with the heart and soul of a liberal arts college.” This means the focus at this urban New Jersey campus is on undergraduates, despite the fact that the faculty is renowned for research. The residential college system is an important part of life at Princeton. Every student at Princeton writes a Junior paper, and then a 100 to 120-page senior thesis, all of which are bound and put into the library as a formal piece of original research. Because of the intensity of the senior thesis, students are not allowed to double major, but they can earn up to three certificates, which are like minors. Most Princetonians live on campus – even most graduate students – and the residential college system is renowned. Each of the six residential colleges has its own dining hall, library, social & cultural amenities. After the first two years, students can also join the sometimes-selective dining clubs as well. Princeton is looking for students who demonstrate individuality throughout their high school years. There is no magic bullet or secret to getting in. Almost all applicants – that is to say – all but about 100 of the 26,000 students who apply each year, are interviewed by one of Princeton’s vast army of 7,000 loyal alumni interviewers. 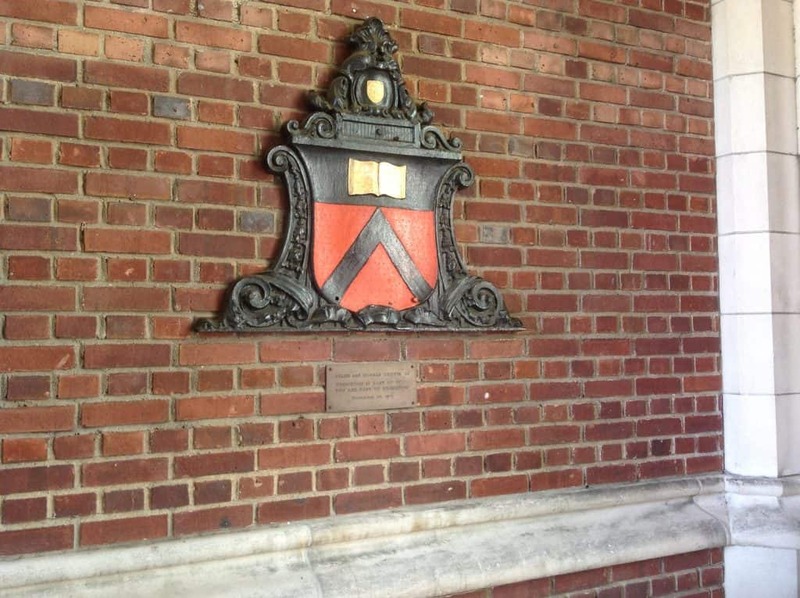 Princeton is well-known for having strong legacy admissions policies, but while Admissions Counselor Robin Henry notes that “it’s something we pay attention to,” she says that “no one gets in because they are a legacy. The academic profile of legacies is as strong or stronger than the rest of the pool.” About 10-11% of the students who enroll are legacy students. 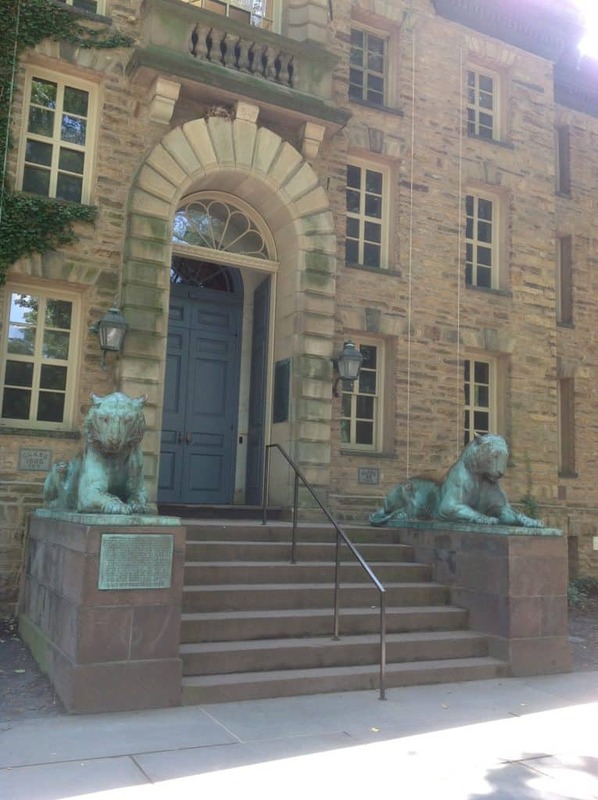 The lions are dubbed “Woodrow” and “Wilson,” after the future President who attended Princeton. I am very proud to have prepared a client several years ago for his Princeton interview. He was accepted and now attends. Princeton is an incredibly rigorous atmosphere, and students must be prepared for individual work when they arrive. Princeton offers only need-based aid; no merit or talent aid is given. Engineering applicants must write a separate essay discussing why they want to study engineering, and why Princeton is the right place for them to pursue that course of study. Princeton has a beautiful campus. You can see all of my photos from my visit here.